Home Agency BJMP Government News People A recommendation after the North Cotabato's attack. A recommendation after the North Cotabato's attack. Transferring the facility to a more secured area is now studying. 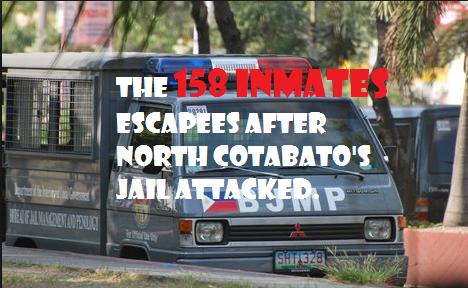 to transfer all "high profile inmates" to Bicutan to prevent similar attacks in the future. Photos have been displayed in bus and jeepney terminals, public markets, even on public transport vehicles. Of the 158 inmates who fled, 58 had been accounted for with 10 of them killed during manhunt operation (Birrey said no "shoot to kill" order), 46 recaptured and two injured now confined in the hospital.